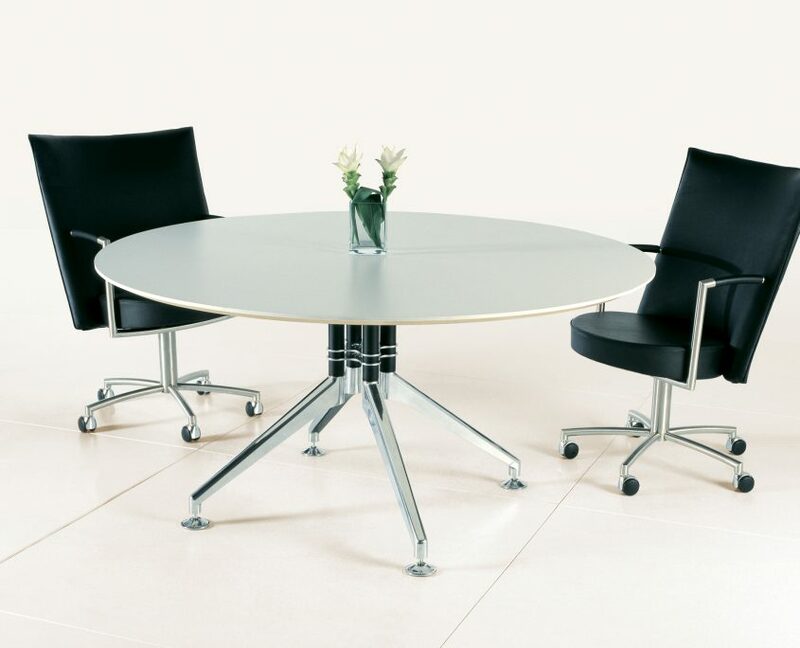 The FIGURE base system is a fusion of style, simplicity and versatility. 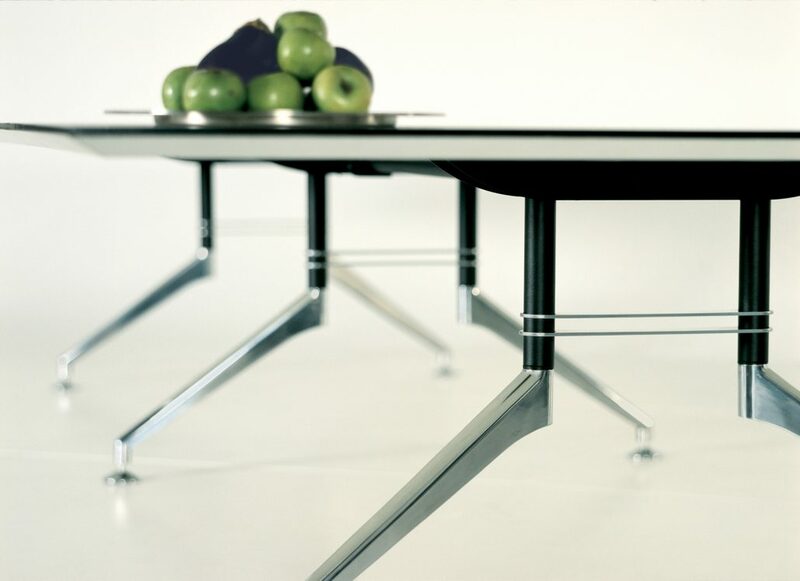 FIGURE is a unique aesthetic element with complete versatility for table widths, lengths and shapes. 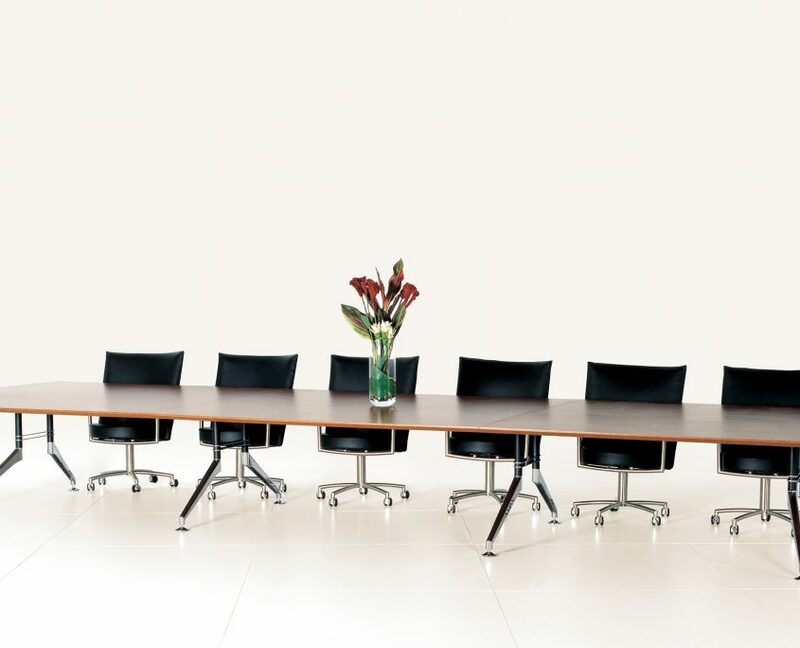 FIGURE provides a consistent and fully integrated solution for conference tables, casual meeting tables, executive desks and general purpose work tables. 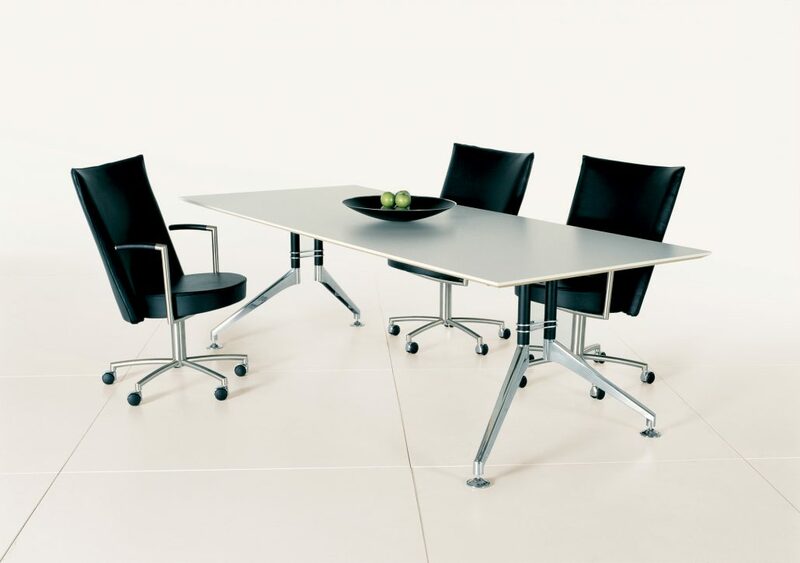 Stylish and simple, FIGURE provides abundant room for the user to ensure correct ergonomic comfort. 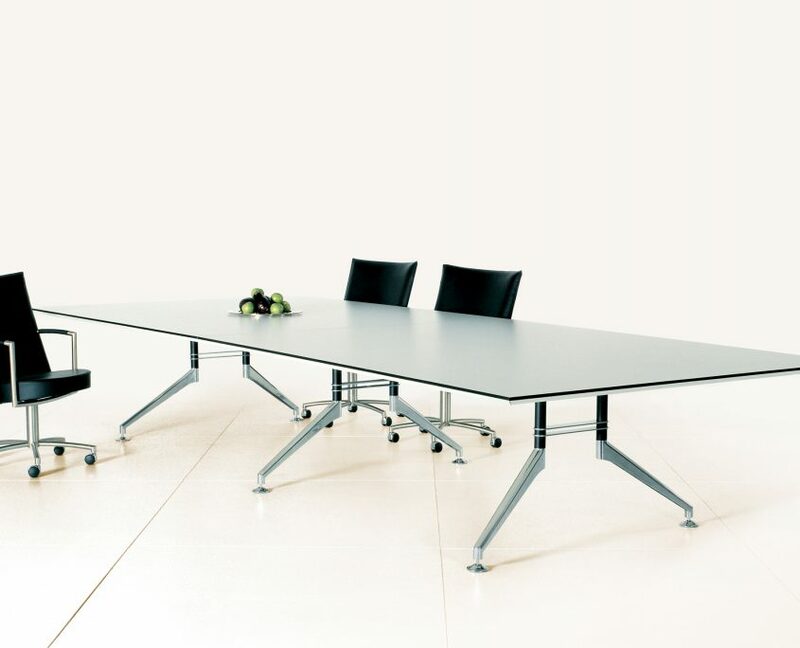 The legs can be positioned at any location along the concealed support beam, allowing endless design scope to compliment the surrounding environment. 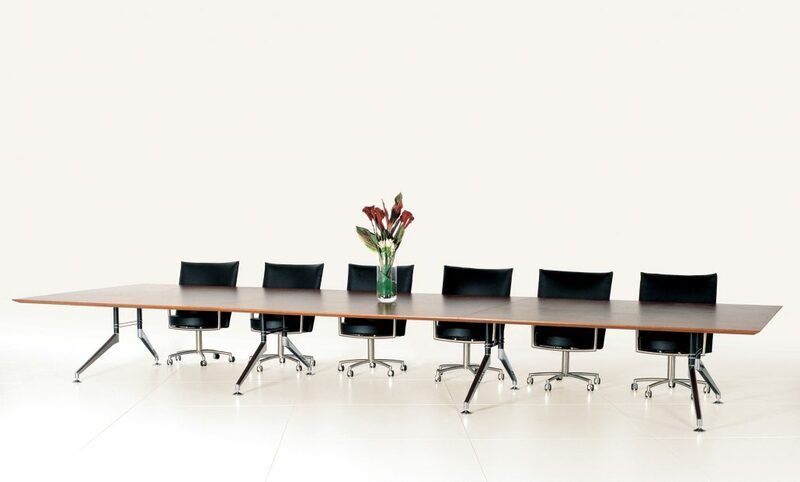 Tables are available in literally any size and shape, with legs positioned well clear of associated seating to ensure seated comfort and effortless movement whilst at the table. 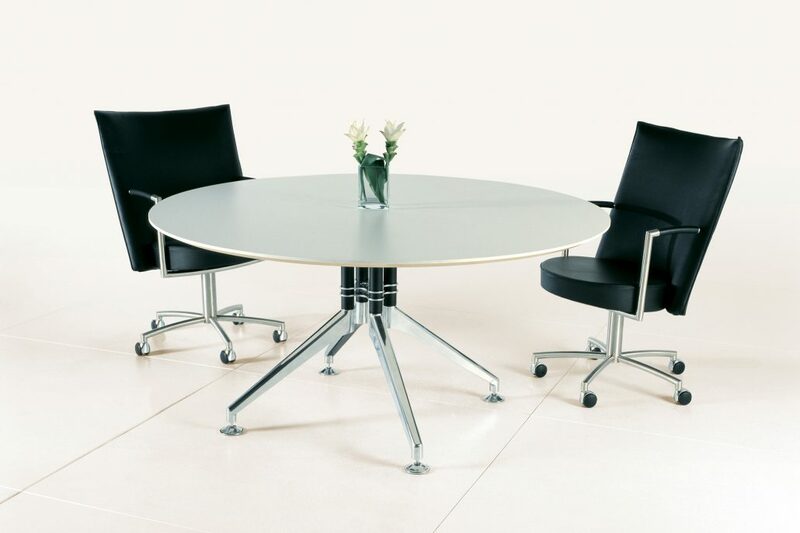 The sleek design appeal allows any type of seating to be paired with FIGURE with confidence. 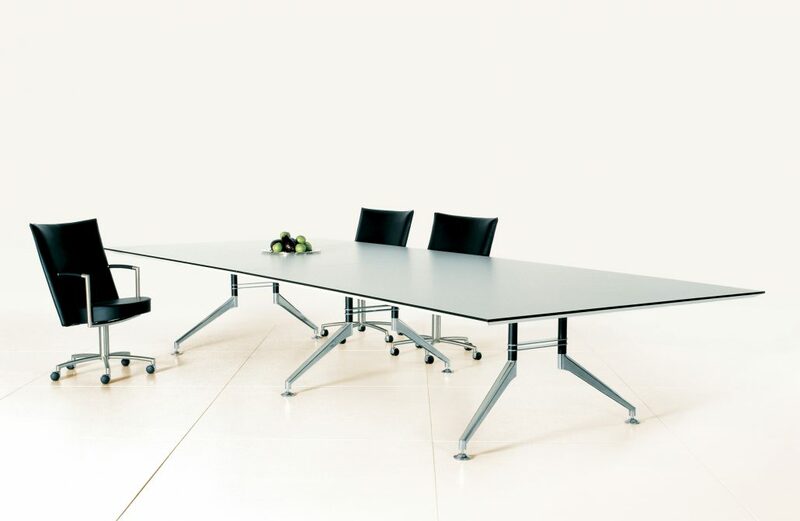 FIGURE can accommodate any tabletop option, enhancing the broad appeal and utility of the range. 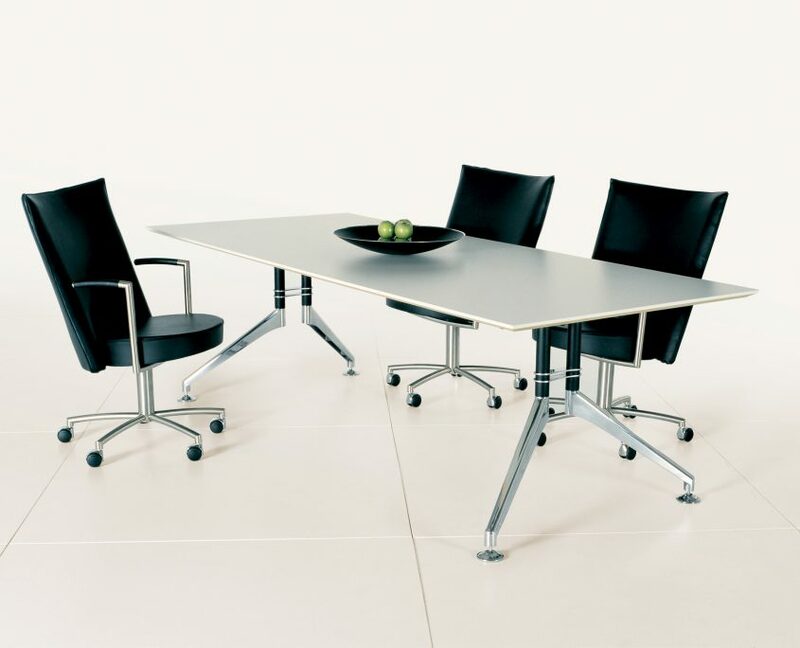 Incorporated with a slim line top and tapered edge detail, the light-weight and floating appearance of the product is emphasised. 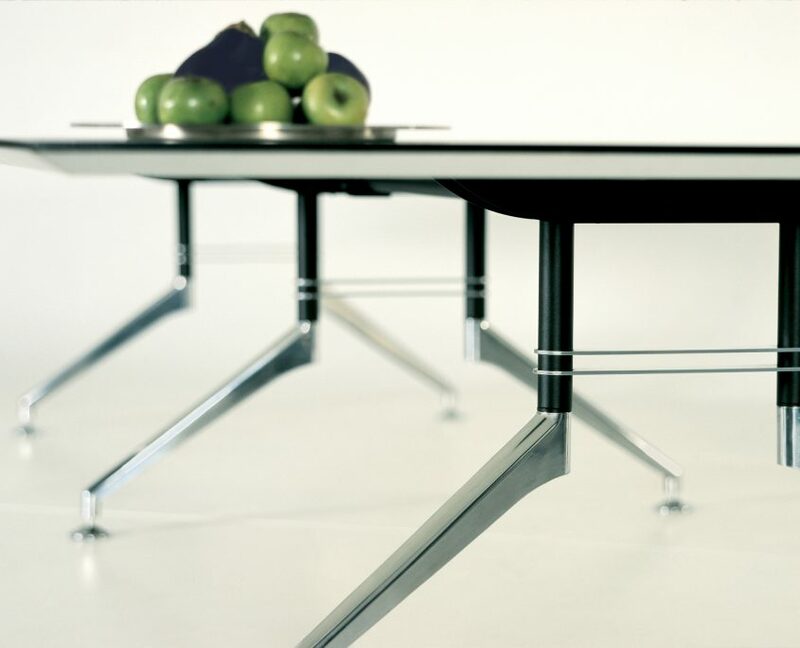 The FIGURE legs are a synthesis of high quality production and materials. The oblique foot provides a simple effect of balance, flexibility and stability. Combined with the concealed supporting component a structurally sound base is achieved.